Welcome Benny Wicks, a visiting volunteer from Oakland. In attendance: Jennifer, Caroline, Evie, Ann, Benny and Linda. Caroline introduced Benny who is visiting from Oakland. She’s trying to infuse some energy into the bay area group. Also working on scripting for speaking engagements to be made available to speakers which can be put on the web site. We went around and gave brief intros. Rehashed events we have produced, such as African Childrens’ Choir, dinner at Keni’s and Carol’s and private dinner parties during March for the Passing on the Gift promotional. Tentatively go on the 3rd of October. Need to know who/how many want to attend. Please, email Caroline we need a quick response to make reservations. Cut off date is September 1st. This will be an all day event. Leaving here around 7:30. We will car pool from Napa and from Sonoma County. * Himilayan Fair - 10/17 & 18 - In Live Oak Park in Berkeley. Please let Benny know if you would like to sit at the table for a while. This opportunity came to us with no charge due to the connections with the Nepali community at the 12 Stones movie event in Healdsburg, May 10. It's an interesting and fun event. Please, email benny@yahoo.com to let her know if you can do this. Omar Hilario or Benny will make a short (very) presentation about Heifer. * S.F.Green Festival in S.F. 11-13 & 15 - at Mascone Center (?) May possibly need staffing for the table. Alexandria and Evie will be sending out a request for this. * The place we were going to use is not available. Imagining around 100 to150 people, with wine and hor d’ouvres, music, show 12 Stones, live quilt auction and a few other silent auction items. Carole will help us find a new site for the event. Evie and Carol will let us know a.s.a.p. * Ann was considering it but can’t do it at this time. Will let us know at next meeting on the 12th. 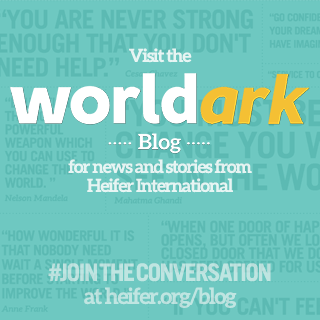 * Managing our money: group money/Heifer money. * Bank Account? Something to consider. * Evie will read the study plans and see if she can glean from it what we could use as a study guide. o corporations that process food (peanut butter, spinach, chili peppers). o None of these problems came from farmers markets, small organic family farms,local growers, c.s.a.’s etc. but from large food processors. * need to impress on our senators that we need food safety but not at the expense of small farmers. Contact your senator! We feel the actual bill is good but we want it to allow organic farmers, small farmers and habitat to be protected. * Article from Washington Post re: how much not eating meat can have a positive impact on the environment. * Shall we go? 2 weeks, more or less, who's interested? 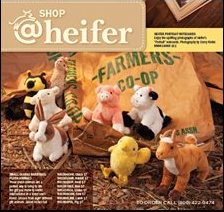 * New “starter” brochures for people who may be interested in working with Heifer. * Meeting Space for September 12: Meg? Jennifer will ask her and let me know. Jennifer Miller will be hosting as Meg will be out of town. Thanks Meg, for letting us use your house for our meeting. Evie will facilitate and ?? will be the note taker. Anyone? * Hidden Villa tour Sept 12 or Oct 3 for day tour and Sept or Oct meeting? * China Airlines from SF to Kathmandu $1,167. Stops in Taipei and Bangkok, can get off either or both stops for a few days at no extra cost. 0 Response to "Minutes: August 15, 2009"